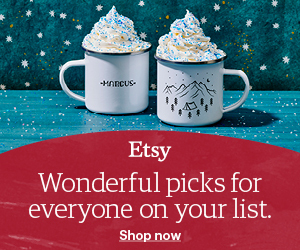 8 Handmade Christmas Gift Ideas! 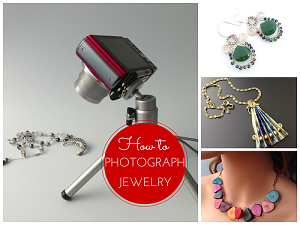 What would you gift another jewelry maker or - let's be honest here - yourself for Christmas? Something you cannot design and make, naturally. So here are my 8 handmade Christmas gift ideas for those who are still pondering this question. I have divided the group into finished designs as well as useful tools and products to aid your addiction passion. 1. 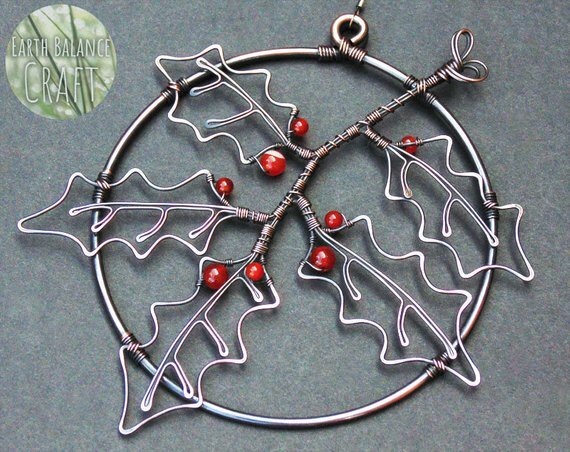 First up is the wonderful wire Holly Leaf Hanging Decoration made by British designer, Nicola Jones of Earth Balance Craft. Perfect to hang over a doorway in place of holly!! 2. Most of us are not into working with molten glass. But Sheila Davis of Washington, US (StoneDesignsbySheila does! 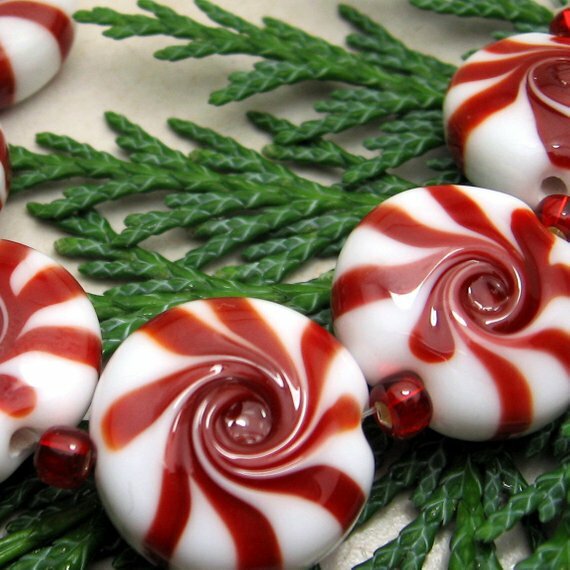 Her set of Christmas Peppermint Candy lamp work beads looks delish! 3. 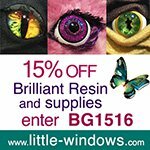 Stained glass work - especially in smaller sizes - is not an easy thing to make. 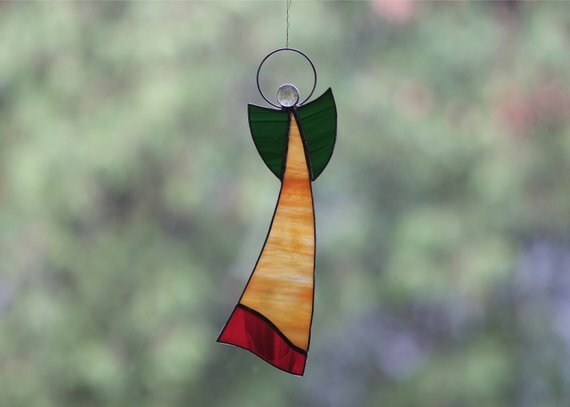 One example is this lovely stained glass angel ornament. Check out this Polish designer, Igor's store, HandmadeBeArt for more angels, bells and other tiny stained glass jewelry designs. 4. This beautiful wire wrapped cross pendant design is by Marlies Blaauw of The Netherlands. Her shop, Atelierblaauw, specializes in symbolic jewelry. 5. Bead embroidery is time consuming. It also takes great talent to come up with original ideas. 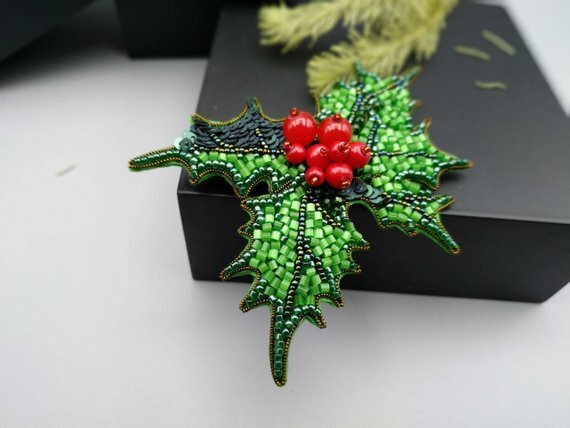 I love this beautiful holly and berry brooch - it looks gorgeous worn! Irina of Ukraine is the designer behind this example and the shop CrochetOkStudio. 6. Maybe next year will be your year to try out ISK (invisible spool knitting) or wire crochet with looms? 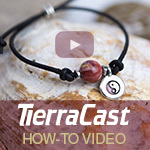 Check out Yoola Design for all sorts of finished or tutorial ideas. I started out with getting the basics as shown in this set. 7. If you are a beader and haven't got a bead board, you are definitely missing out. 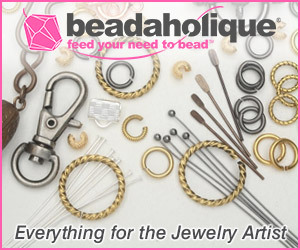 They stop beads from rolling off the work surface, the beads usually land hole sides up, and you can even stick your needle into the board when pausing your work. 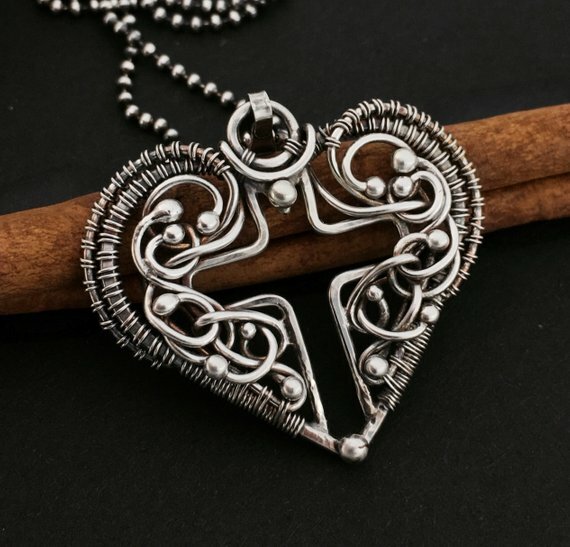 I also use mine for other techniques such as chain maille. The board rims are comfortable to rest your wrists/hands on. Mine was made by a fellow member of the bead society I belong to (Grand River Bead Society). 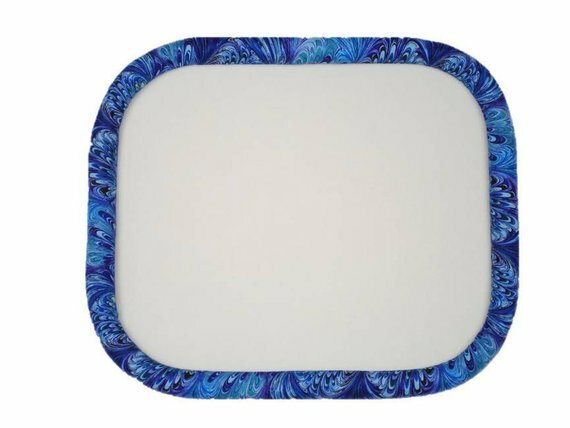 But you can also get them from Californian Steve and Marilu's MSWshop - they make them in different sizes and shapes and can customize with fabric patterns and colors for you. The design below is their bestseller. 8. Creative people like you are likely to indulge in other crafts too - like knitting and crochet. 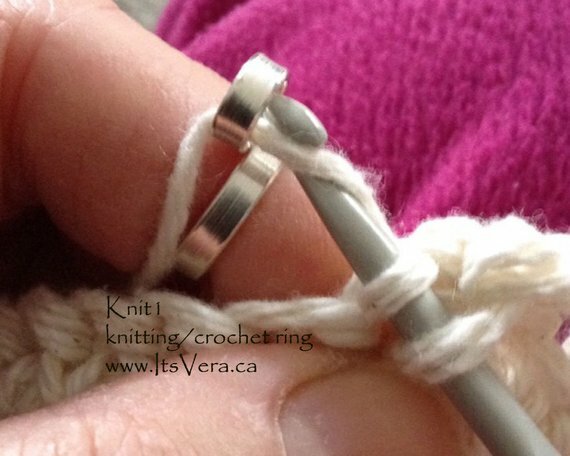 This original handmade 1 loop ring (© Vera Tempelmans Plat) is designed by Canadian metalsmith Vera to aid knitters and crocheters with tension control. 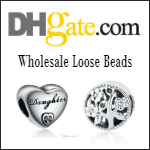 Arthritic crafters will also find her rings helpful. 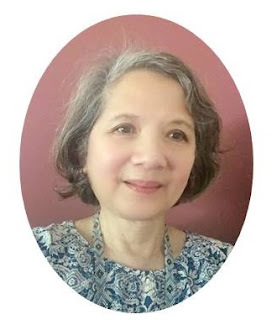 Her designs have been featured in many USA and UK knitting magazines. Check out her shop ItsVera for other designs including wire,textured versions, 2 and 3 loop types. She offers her rings in different metals. 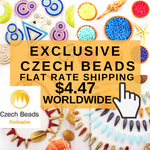 Explore Etsy for all sorts of handmade items. Some shops are running Cyber Week Sales. Oh my goodness! I drooled over Sheila's lampwork beads! All of these goodies - yum yum yum! Puts one in the Christmas spirit!